With rapidly advancing technology, consumers are demanding user-friendly websites that make navigation effortless and foolproof. “However, change is a huge challenge for many,” says Lauren Urban, Creative Director at Youtech & Associates. “Often it could disrupt a company’s loyal customer base or its many employees.” Based in Naperville, IL, Youtech & Associates creates an array of captivating and smart website designs, giving its clients a world-class online marketing experience, brimming with the confidence that comes with a consummately reliable platform. “We give businesses a custom-tailored website to attract their visitors from the onset.” The company ensures that no clientele base or employees are disturbed while upgrading any website, while giving full attention to the client’s concerns, ideas, and suggestions for the web development. Throughout the design and development process, Youtech & Associates has a series of ‘checkpoints’ in place to review with the client. As soon as an issue is resolved, another is examined to continue the flow of information from the client. Along the way, the company also implements Search Engine Optimization (SEO) checkpoints. “We optimize every site we build whether or not the client intends to stay for SEO services,” expresses Lauren. At Youtech & Associates, nothing is outsourced so that every client has access to the creative minds working on their projects. “We don’t just fix things; we make them better.” “We make ourselves accessible around the clock. We form relationships with our clients. 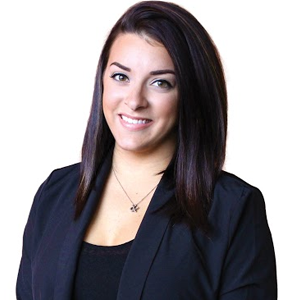 We do not stop working until we get it right for every single client, every time,” adds Lauren. Lauren and her creative team believe in a systematic approach to expertly craft websites in order to bring the greatest value to all businesses. As a part of its structure, Youtech & Associates documents, reviews, and revisits situations, which enables the company to build better solutions and create sound processes for the future. What’s next in the world of technology for Youtech? “We have begun delving into the world of mobile applications,” says Lauren. “Mobile apps just make sense in today’s fast-paced world.” The company has an extremely talented team of developers, which pairs with its creative team of graphic designers, to design applications that are both aesthetically pleasing and user-friendly from a UI standpoint.